This 22 in. Connect Cantilever Organizer features a convenient cantilever mechanism that gives you full access to your parts. The upper body contains 12 removable small-part bins and the lower body has 10 deep removable bins. The full-body steel handle makes it easy to carry heavy loads. 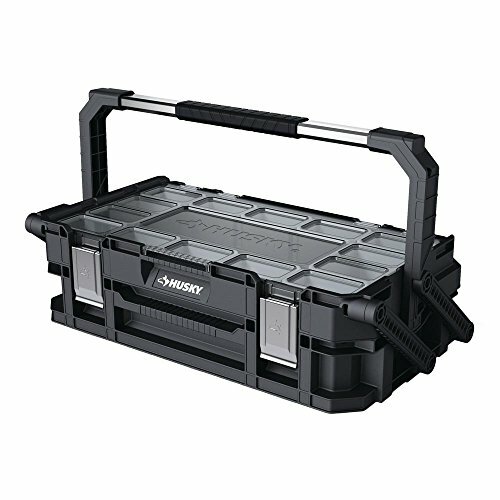 This organizer is compatible the Husky Connect Rolling System, and the Husky 15 Gallon Connect Mobile cart. It can be connected to the top of the Husky Connect Rolling System.